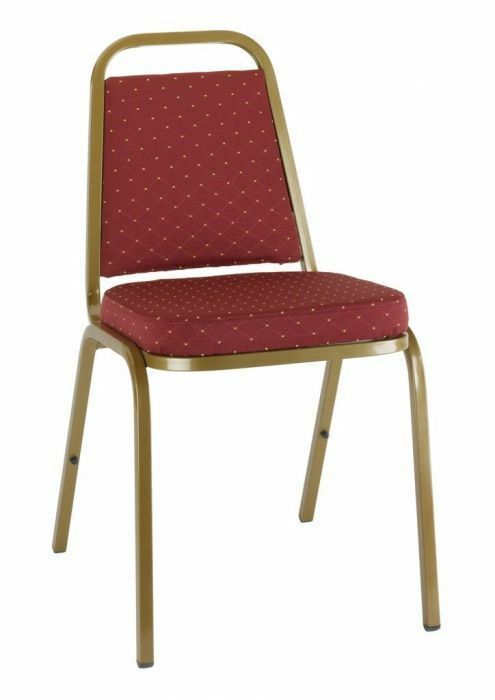 Banqueting chair in a Red or Blue patterned fabric and powder coated metal frame in Gold. Available from stock and delivered in 2-3 days from date of purchase. Designer banqueting chair with gold detailing for a more upmarket look. Complete with an attractive Gold powder coat frame. Free delivery for mainland UK customers. Please contact our sales team for further information on bulk orders.